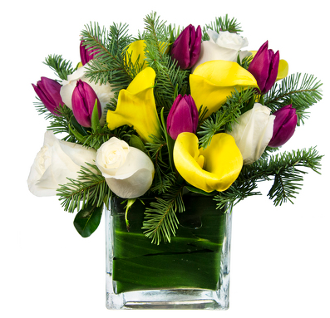 Fresh Flowers in a bright and bountiful floral arrangement. Same Day Flower Delivery Los Angeles. "One of the best flower shops LA has to offer."